Marina District Condos in downtown San Diego is one of the most photographed areas for the Downtown San Diego area. It's picturesque view of the boats and along the bay with the majestic high rise buildings in the background is what most people think of when they think of Downtown San Diego area. The Marina District is one of the most exclusive areas in the downtown San Diego area with some of the most luxury condos for sale. Downtown Condo buildings like the Harbor Club, The Meridian, Pinnacle, Renaissance and the Horizons complex are just some of the great buildings in the Marina District. 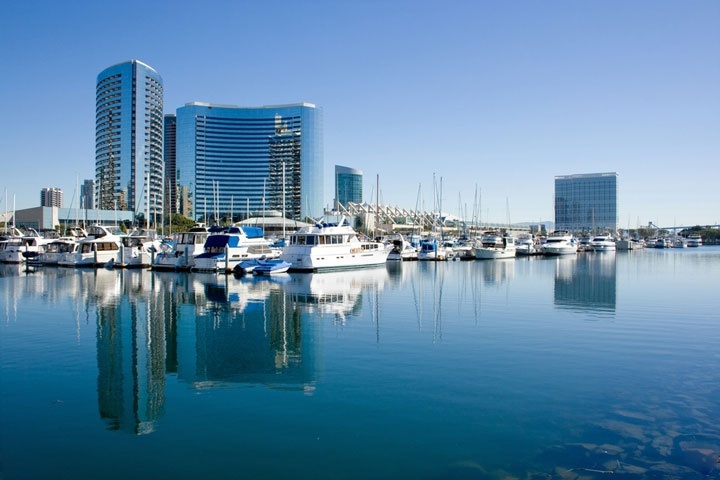 The Marina District includes the San Diego convention center, Hyatt & Marriott Hotels. All San Diego homes and San Diego Condos for sale are also listed below in the various San Diego neighborhoods. Questions? Let our team of San Diego Realtor Associates help you. Please contact us at 1-888-990-7111 today.